Home Lifestyle Euthanasia- A boon or a bane? Every coin has two sides. Similarly, euthanasia is one of the most debated-about topics. It demands various views and opinions. The term is defined as “the act of ending a life in order to end the agony or suffering of a living being.” The word is derived from a Greek word which means, “Good death”. “Life is without meaning. You bring the meaning to it; Therefore the meaning of Life is whatever you ascribe it to be. Being alive is the meaning.” – Joseph Campbell. When a person is going through tremendous suffering, he wishes to end such agony by dying. Death is an end to the daily miseries of life. It is the key to salvation and “Mukti” (freedom of all kind). This is where Euthanasia or the act of “Mercy killing” comes into the picture. It goes back to the times of Karl Marx, a sociologist who considered death as an ‘alleviation’. The Constitution of India provides for “Right to Death”. Under this provision, the person has the complete right to take decisions pertaining to his own life and death. The patient suffering from the severe disease can deny undergoing further treatment and voluntarily wish to die. Therefore, euthanasia is legal in many countries. The constitution of these countries believes that the person has the right to do anything with his life. It is his own choice and no third person should have any say in it. Every person, thus, has the right to die with dignity. 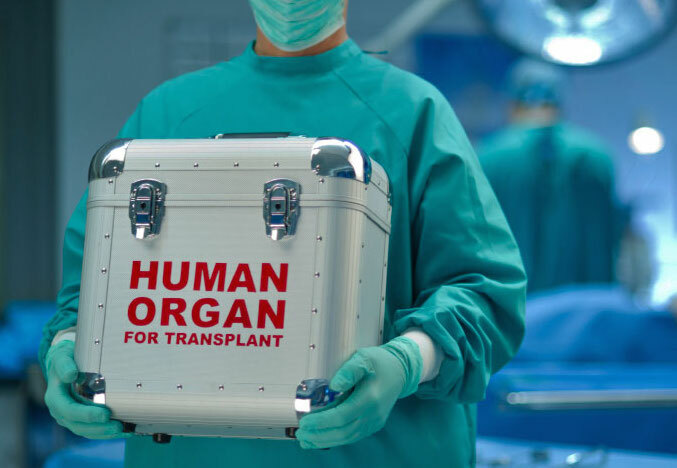 Euthanasia in terminally ill patients makes organ donation possible. The patients in need of organs are benefited largely through euthanasia. It gives the gift of life to many needy patients. If a living being gives up living while he is alive, he is already dead. Then what can Euthanasia do anyway? It is argued that Euthanasia is a mercy killing. It is a form of assisted suicide. The main aim of such an act is to rid the patients and other living beings of their agony and pain. Instead, it is practised by with mental illnesses and those who think of their elders as a burden, preferring to end their lives instead. The desire for death in terminally ill people is correlated with depression. The concept of “Care and humanity towards a dying man is completely lost among all this. If Euthanasia is legalised in India, the basic right to live shall be violated. It is the duty of the State to protect the life of an individual. Through the act of Euthanasia, the State ignores the life of the individual by letting him die on his own will. Euthanasia can be used for illegal purposes and for personal interests too. Passive Euthanasia occurs in rural areas where patients deny to undergo treatment because of the amount of money involved. If euthanasia is legalised, the health sector can sentence disabled people and elderly citizens to death for a meagre amount of money, saving on the cost of treatment. The Supreme Court of India has withheld its decision on such important and sensitive issue. If it gets legalised in the future, the Legislature must ensure that it is carried out only for the purpose for which it is meant: use as a last resort. The State should take care of every individual and invest largely in the health care sector. It must give ample protection to terminally ill patients. Also, the society must be mature enough to handle such issues, and not misuse them, before such a policy implement. Considering the above points, Euthanasia shall serve both as a boon and a bane in future, based on certain conditions. Euthanasia—A Right to Life or a Right to Death is what each individual should ponder upon. Is it assisted suicide, a weariness of life? Or is it really a blessing in disguise? Or merely a positive experience for the ones who experience pain and longs for such an end?! The ideas and perspectives differ from person to person.